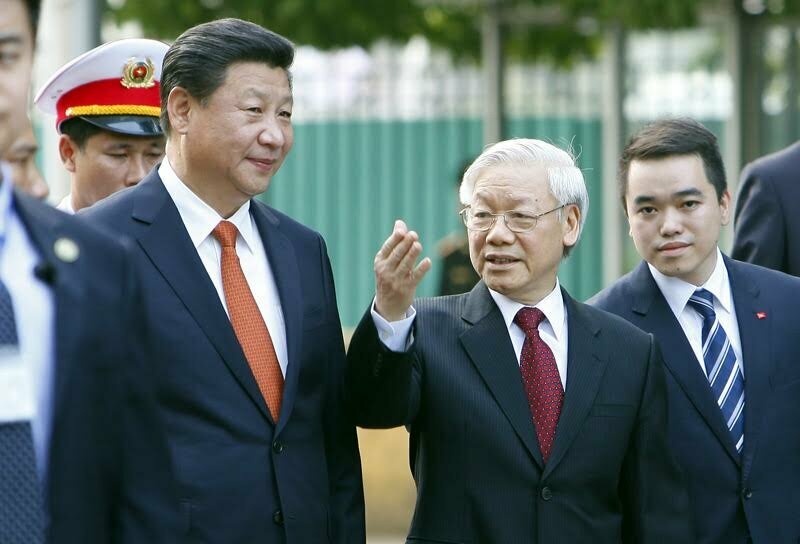 Lessons from the master – Nguyen Phu Trong keeps close to China despite current tensions. China and Vietnam may be at loggerheads over territorial disputes, but the autocratic style of the Chinese leader, Xi Jinping, is inspiring some admiration south of the border. 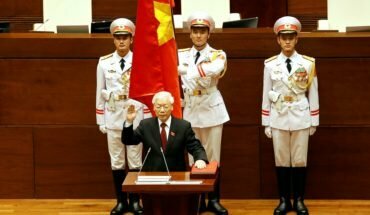 The Vietnamese Communist party leader, Nguyen Phu Trong, once dismissed as an old school ideologue of little relevance for the future, appears to be taking a particular interest in Mr Xi’s playbook. Mr Trong likes to portray himself as a frugal and austere comrade who will sweep out corruption from the party, and bring down the opportunists and chancers enriching themselves in its name. As in China, however, many of those targeted in the anti-corruption campaign happen to be associated with individuals, factions or interest groups at odds with the ruling clique. The latest senior figure to be dismissed is the Vice-Minister of Trade, Ho Thi Kim Thoa. She is accused of financial malfeasance some years ago at a state owned electricity firm. She also happens to have been the official who appointed the former oil executive Trinh Xuan Thanh, who was recently kidnapped by Vietnamese agents in Berlin, according to the German government, and brought home to face trial for financial crimes. Both are associated with the former prime minister, Nguyen Tan Dung, who lost out in a power struggle to Mr Trong and his conservative supporters in the leadership last year. In an authoritarian one party state, where the word of the Communist party is law and where independent reporting can be prosecuted as a criminal offence, the inner workings of the Communist party are necessarily opaque. A government that strives obsessively for secrecy and allows no mechanisms for accountability, can hardly complain when its pronouncements are not taken at face value by a trusting public. They should lead “an honest, modest, sincere, transparent, simple and generous life”, went on the directive. It’s quite an ambition for a country ranked second to India as the most corrupt in Asia. The statement mirrors some of Xi Jinping’s early strictures against corruption in China and the damage it was doing to the moral fibre of the Communist party and the state. Mr Xi announced his ambition to go after flies and tigers, the latter beast apparently a reference to China’s former security chief and Mr Xi’s great rival on the Standing Committee of the Politburo, Zhou Yongkang. Mr Trong and his backers appear to have “tigers” of their own in mind. 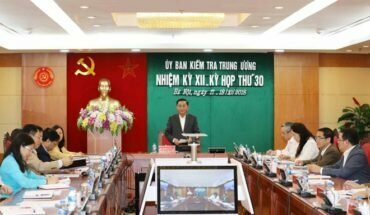 In an extremely rare move, a member of the politburo itself, Dinh La Thang, was removed from his post in May – another close associate of the former prime minister. Mr Dung, and his other former allies, some still in high positions, will no doubt by eyeing the China parallels with some apprehension. Transparency and accountability are accepted worldwide as key ingredients in any system that intends to get to grips with corruption. Vietnam’s rulers will struggle to convince the public, and the wider world, that they are serious about rooting out graft, when all the decisions to investigate, prosecute and convict are taken by unaccountable officials to whom transparency is anathema. 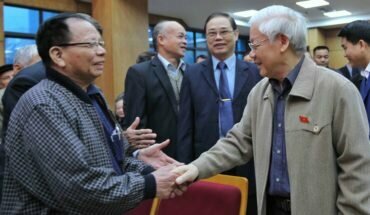 Mr Trong, who had been expected to stand down half way through his second term, now appears happy to stay on as general-secretary of the Communist party. He has presided over a harsh crackdown on independent bloggers and those pressing for political reform, and he has turned the tables on ambitious reform minded politicians who had visions of a more open system. His campaign against corruption looks set to continue, but it will struggle to revive faith in a ruling party severely tarnished by the actions of rapacious officials and as closed as ever to public scrutiny.